Dry eye syndrome symptoms can be debilitating. Some sufferers feel like they have sand in their eyes, resulting in a burning or stinging sensation. Others find their eyes sensitive to light. Although it affects people in different ways, what they all have in common is how it impacts their lives, affecting simple activities such as working on a computer, reading or being outdoors. Dry eye syndrome simply means having chronic lack of moisture and lubrication in the eyes. Between 15 and 33% of people over 65 years of age have been estimated to have dry eye disease. It is however difficult to truly estimate its prevalence, because people with less intense symptoms are less likely to report their condition. It is more prevalent in women and in older people, however dry eye syndrome can affect anyone at any age or gender. In order to understand this disease we need to understand its causes. 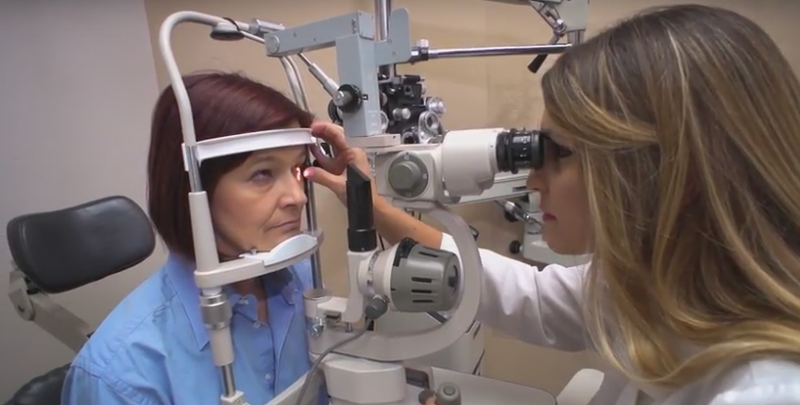 In our Dry Eye Clinic, patients commonly ask me what is the cause of severe dry eyes. Understandably, sufferers want to have more insight into why they have developed this condition. Unfortunately, there is rarely a straightforward answer. For most people, it is not one, but a combination of causes. Ageing, whilst many young people develop dry eyes, there is no doubt that dry eye is part of the ageing process, the majority of people over 65 experience some form of dry eyes. Gender, women are more likely to suffer due to hormonal changes caused by pregnancy, oral contraceptives and menopause. Medication, certain medicines including antihistamines, antidepressants, blood pressure medication, HRT and decongestants can all reduce tear production. Medical Conditions, sufferers of conditions such as rheumatoid arthritis, Sjogrens disease, diabetes and thyroid problems are at a higher risk of developing dry eyes. Environmental conditions – exposure to wind, smoke and dry climates can lead to symptoms of dry eyes. Also, inadequate blinking, especially during prolonged computer use has a detrimental effect. Secondary to other ocular factors, dry eyes can result from wearing contact lenses for prolonged periods, or secondary to laser eye surgery. It may also be due to problems with the eyelids turning in or out, blepharitis, or inflammation of the eyelids or surfaces of the eyes. Sometimes action can be taken to eliminate a risk factor. There are also treatments available. It is always advisable to have an assessment in order that the correct treatment can be tailored to your needs. In order to understand this we need to first understand the different types of dry eyes. There are two basic types of dry eye syndrome. Aqueous Deficient Dry Eye, where the lacrimal glands are not able to produce enough of the watery component of our tears. Evaporative Dry Eye, where the meibomian glands are unable to produce enough oil. 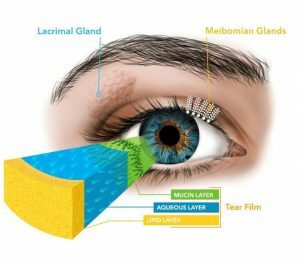 The lacrimal glands not being able to produce adequate water is usually caused by aging, medical conditions and medications. Tears can also evaporate due to environmental conditions such as dry climates and wind. The mucous layer is at the bottom of the tear film and gives our tears a foundation. This layer spreads the tears evenly over the surface of the eye. The aqueous layer is produced by the lacrimal glands and consists of a water. The outer layer is made up of oils and is produced by the meibomian glands. These oils are called meibum. This layer prevents the watery middle layer from evaporating. This mixture protects your eyes from infection and helps keep your eye surfaces clear. When the meibomian glands are not able to produce enough oils, dry eye symptoms may occur. This imbalance is commonly caused by a condition called meibomian gland dysfunction (MGD). Research shows that 80% of all dry eye diseases are caused by MGD, making it its leading cause. MGD is caused by a blockage or some other abnormality in the meibomian glands in the eye lids. When healthy, these glands produce essential oils that form the outer layer of the tear film. Blocked glands produce progressively less oil. When this layer is absent, long term eye comfort is impossible, because without it, the middle aqueous layer will evaporate, leaving the surface of the eyes exposed. The majority of MGD cases occur in people over 40 years of age, however it can appear in children and young adults. Age, ethnicity and wearing contact lenses are common causes of MGD. Also long periods of time in front of a screen might be a contributing factor, by resulting in decreased blink rates. Healthy blink rates are essential in activating the meibomian glands to spread the needed oil layer across the eyes. MGD is associated with a condition called blepharitis. Blepharitis is an inflammation of the eyelids, where they become painful, red and itchy. Dandruff like scales form on the eyelashes. Other common symptoms are a burning feeling in the eyes, red swollen eyelids, dry and itching eyes and a crusting of the eyelids. This condition is uncomfortable but not generally dangerous to your eyes. Dry eye is not only annoying, but it can also permanently harm your vision. When dry eyes are left untreated they might become light sensitive and their vision may blur. Also, when eyes are not sufficiently lubricated, the eyes are susceptible to scratches and infection. In many cases dry eye is a chronic and progressive condition. Depending on its severity it may not be completely curable. In extreme cases it might cause damage to the surface of the eye. Due to its painful nature it might have a serious effect on vision based activities. Vision loss – Though, thankfully, very uncommon, untreated severe dry eyes can result in temporary vision loss. Measuring the volume of your tears. This is done by placing blotting paper under your lower eyelids. Your doctor is then able to measure the volume of tears produced. Examining patient history to determine whether the symptoms are caused by medications, general health problems or environmental factors. Measuring the quality of your tears. This is done using special dyes in eye drops. Your doctor will look for staining patterns to determine the how long it takes your tearstability to break up. How is Dry Eyes Syndrome Treated? There are natural remedies for dry eyes. Dry eyes can be caused by environmental factors such as excessive dust, smoke, heaters and fans. These factors can be dealt with by simply avoiding them. Fans and heaters that are directed toward the eyes should be avoided. Mild dry eye syndrome is commonly treated by over the counter eye drops. Eye drops are easily available and do not need a prescription. They can be purchased online, at your pharmacy or local opticians. Eye drops can be used for treating the associated inflammation that is present in dry eye, however, eye drops only aim at replacing the poor tear film with a substitute. It does not treat the cause of the underlying problem. Unfortunately, dry eye is often associated with inflammation. The inflammation might be a result of, or the cause of the dry eye. An Ophthalmologist, experienced in treating dry eye meibomian gland disease, may often add an anti-inflammatory drop or other medication to assist with redressing the associated inflammation and symptoms. In some instances dry eye is caused by the use of medications. This can often be cleared up by your doctor simply recommending a different medication that does not cause dry eyes. Other’s have dry eyes as a result of out-turning eyelids. This might be treated by plastic surgery. Prescription medications are another option. 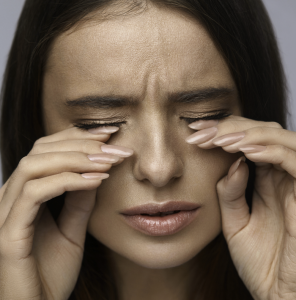 Some medications are designed to reduce eyelid inflammation, as inflammation on the eyelids may prevent water from being secreted into the tears by damaging the lacrimal gland. Other medications are formulated to reduce inflammation of the cornea. This is usually treated by prescription eye drops and includes an immune suppressing medication. Other treatments include contact lenses that are designed to trap moisture and protect the surface of the eye. These are called scleral lenses or bandage lenses. The majority of dry eye cases are caused by MGD, which is a clogging of the oil producing glands in the eye lids. These glands have their openings near base of the eyelashes. In order to treat a blockage of these glands an eye doctor might recommend meibomian gland expression. This procedure is performed by applying pressure to the eyelids with paddle like forceps in order to squeeze the contents of the meibomian glands. The application of heat to closed eyelids using a warm compress. This in essence softens the meibum in order to unclog the meibomian glands. Although this treatment has its advantages, the compress has to be applied for at least 10 minutes twice a day. This is a distinct disadvantage as we go about our busy lives. Lipiflow is an automated system that has the advantages of both warm compresses and meibomian gland expression. 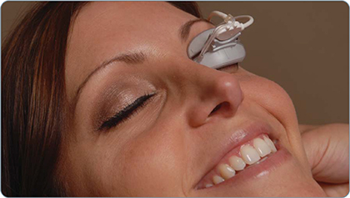 The device fits over both the eye and eyelid, allowing the device to apply both heat and pressure. The device provides computer controlled application of heat to the precise level required to melt the poor oils. This is accompanied by simultaneous massage to the glands, effectively expressing all the poor oils and allowing the oil production to resume in a more normal way.